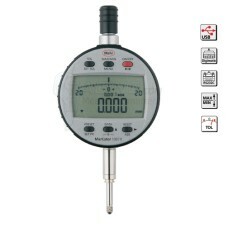 The New 4337660P, 4337660 (formerly 4337160) MarCator 1087 R Mahr Digital Indicator is on sale at G.. 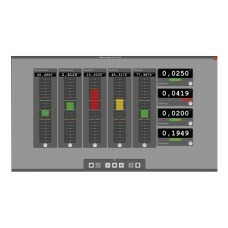 The New 4337661P, 4337661 MarCator 1087 R Mahr Digital Indicator is on sale at Gaging.com! Feat..
*actual product may differ The New 4337666P, 4337666 MarCator 1087 R Mahr Digital Indicator is o.. 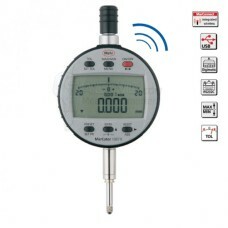 The 4337670P, 4337670 MarCator 1087 ZR Mahr Digital Indicator, 0-1/2" / 0-12.5mm range, with Analog.. 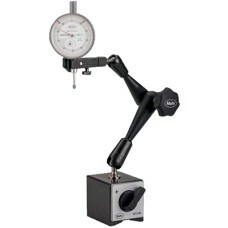 The 4337671P, 4337671 MarCator 1087 ZR Mahr Digital Indicator, 0-1" / 0-25mm range, with Analog Dis..
4420350 Marstand 815 MG Mahr Indicator Stand with Magnetic Base, Height 224mm / 8.818"
The 4420350P, 4420350 Marstand 815 MG Mahr Indicator Stand with Magnetic Base, Height 224mm / 8.818"..
4420360 Marstand 815 MG Mahr Indicator Stand with Magnetic Base, Height 316mm / 12.440"
The 4420360P, 4420360 Marstand 815 MG Mahr Indicator Stand with Magnetic Base, Height 316mm / 12.440..
4420370 Marstand 815 MG Mahr Indicator Stand with Magnetic Base, Height 401mm / 15.787"
The 4420370P, 4420370 Marstand 815 MG Mahr Indicator Stand with Magnetic Base, Height 401mm / 15.787..
4420380 Marstand 815 MG Mahr Indicator Stand with Magnetic Base, Height 444mm / 17.480"
The 4420380P, 4420380 Marstand 815 MG Mahr Indicator Stand with Magnetic Base, Height 444mm / 17.480..
*product shown may differ The 5312800 Mahr Millimar Cockpit Measuring Software is on sale at Gagi..